These days we are looking again at the episodes of the first season of Doctor Who and we started to imagine how Tennant and Smith would behave to review the deeds of Eccleston. This is what it came out and it’s the beginning of our journey through time and space. We will release new strips once a week (maybe on Monday) with the 3 doctors as main characters and we hope you will join us as our companions. 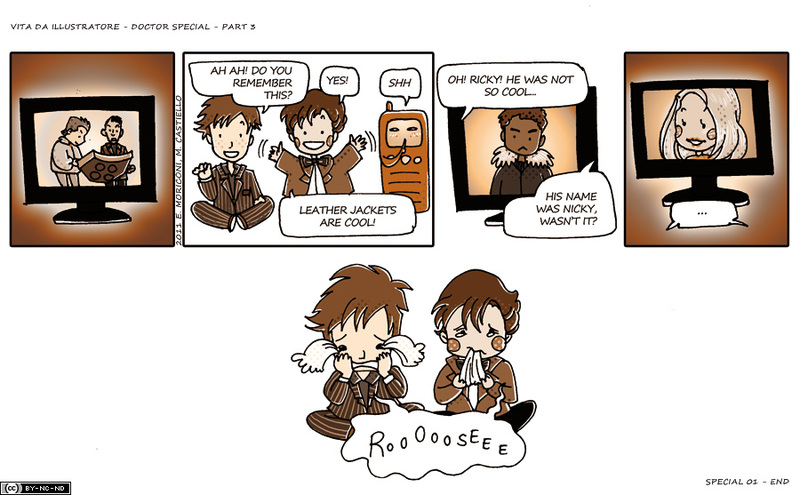 Obviously every rights on Doctor Who belongs to BBC, this is just a fan webcomic.